to succeed in the business today." The film Since You Went Away was released in 1944. This epic film attempted to relate to the American audience that was dealing with the war foreclosing and the flux of soldiers coming home at the time. The Hollywood studios were constantly trying to do their part for the war buy making films about the war in a fairy tale "Hollywood" style. Since You Went Away crossed these boundaries, and the movie audience at the time, positively responded for this reason. formula of this movie draws heavily from) Rebecca, and King Kong. This film was a special project for Selznick at the time, and it was seen as his contribution to the war effort. 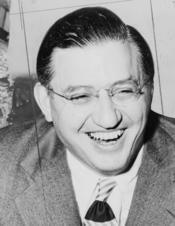 The academy awards recognized Selznick's effort and nominated his film for best picture of 1944. WriteWork contributors. "Film Critique of Selznick's films" WriteWork.com. WriteWork.com, 01 February, 1995. Web. 22 Apr. 2019.